Why did Holmes change his mind? That question has puzzled historians for almost a century. 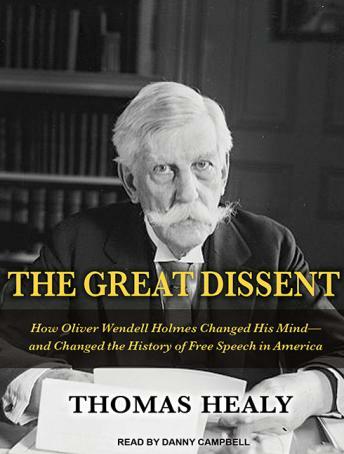 Now, with the aid of newly discovered letters and confidential memos, law professor Thomas Healy reconstructs in vivid detail Holmes's journey from free-speech opponent to First Amendment hero. It is the story of a remarkable behind-the-scenes campaign by a group of progressives to bring a legal icon around to their way of thinking-and a deeply touching human narrative of an old man saved from loneliness and despair by a few unlikely young friends.